Today is Armistice Day. In the US it’s Veterans Day and Remembrace Day in the Commonwealth nations. In Germany it also marks (for reasons that have elduded me since forever) the beginning of the Carnival Season. It starts November 11th at 11:11 am (that is 11/11, 11:11) . Why I bring up the Carnival Season in this context? Well, because the History of War seems to be an endless awful carnival with more or less the same main participants in ever changing combinations. Beat the Russians out off Germany. Do you notice anything? Yes, the allies became enemies became allies again. If you expand this further back into the Napoleonic Wars, it becomes even more confusing. Anyway, my point is: The former enemies have been allies for longer than they have ever been enemies. Between around 1950 and 1990 the Warsaw Pact and NATO were mutual scarecrows and „evil“ (which was a particular strange situation for the Germans on either side of the Iron Curtain) and now? Most of what used to be the Warsaw Pact is no in NATO and the EU… How many of you still remember the time when we would have sent everyone to an insane asylum who would declare „Oh, the Berlin Wall will be down in two years and Poland and the Baltic States will be members of NATO soon after“. History is fickle and sometimes stranger than fiction. Other nations have veterans, too. They only did their job and their nation have been your nations allies for over a generation in some cases. Ande believe it or not: Their veterans are also humans. I sometimes get the impression, this is actually forgotten rather quickly. While especially the British and Americans are particularly proud of their veterans, it was the Russians who did most of the fighting and the Russians and Poles who did most of the suffering. 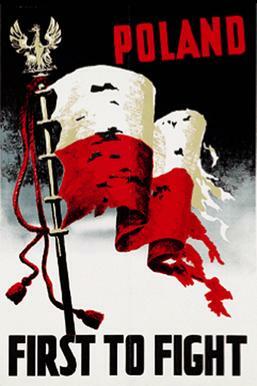 For the Poles, it was particularly bad, they simply went from one oppressive regime to the next. Keep that in mind!